This e-Newsletter is being sent to all subscribers who registered on the old website. 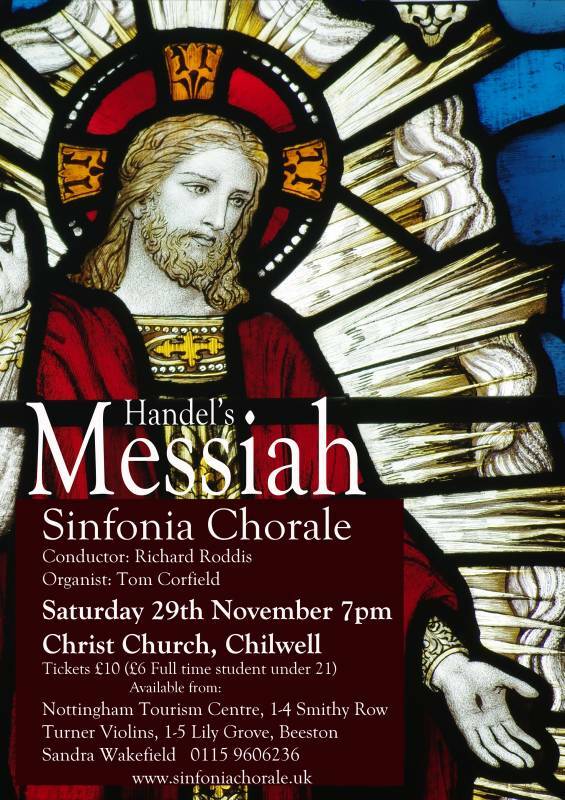 Sinfonia Chorale begin their season with a new website, a presence on YouTube, and a performance of Messiah. This great work has become a favourite during the run-up to Christmas, with its deep spiritual message and its splendid tunes. The performance will be small-scale, intimate and direct, with crisp lively choral singing, accompanied by trumpet and organ. The Spring Concert is another feast of Baroque music with authentic period instruments, led by international violinist, Nicolette Moonen. The French style of grand motet – calling for soloists and massed forces of voices and instruments – is amply represented with works by the King’s Musician, Jean Baptiste Lully, the man who followed him, Michel-Richard de Lalande, and his contemporary, Marc-Antoine Charpentier. The event focuses on the French Baroque – the opulence of the Royal Court of the Sun King, Louis XIV, at the palace of Versailles. Charpentier is the best known to us now, especially through the Te Deum – though not always in the concert hall! The Salve Regina is a fine work for three separate choirs, based on Gregorian Chant, with some strikingly dissonant and chromatic writing. Lalande is unjustly neglected, so this is a rare opportunity to hear his magnificent Confitebor tibi Domine. For soloists, 5-part choir and instruments, it is a psalm of praise with plenty of thrilling and vigorous part-writing. 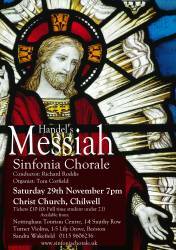 As a foil to these, Handel’s great Coronation Anthem, Zadok the Priest, is a worthwhile curtain-raiser – not French, but certainly royal! In addition, there is the excellent opportunity to sample and study these works with Richard and Nicolette in the annual, Come and Sing and Play in January. For full details, please visit the Come and Sing/Play 2015 page at the new Sinfonia Chorale website, where an application form to take part in this event is available for downloading. Best wishes for an enjoyable season - we hope very much to see you at our concerts.